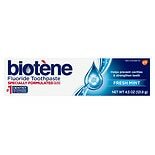 Shop Biotene Fluoride Toothpaste Mint (4.3 oz. )4.3 oz. $749$7 and 49 cents$1.74 / oz. 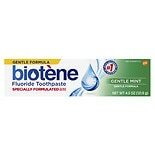 Shop Biotene Fluoride Toothpaste Fresh Mint Original (4.3 oz. )4.3 oz.